Matt and Jamie McDowell were looking to build their dream home somewhere that gave their three young children and home-based business plenty of room to grow. And they found it in the form of a 3,700-square-foot Southern traditional on a 3-acre lot in Evans off Halali Farm Road. Their purchase was one of the more than 10,000 local sales that helped make 2016 a banner year for single-family home sales in the Augusta-Aiken area. “We’ve had several good years, but this has been the best year so far in 10 years,” said Andrea Bowles, the president of the Greater Augusta Association of Realtors, whose members broker the vast majority of sales in Richmond and Columbia counties and the western half of Aiken County. The association reported 8,084 single-family home sales in 2016. The last year so many homes were sold in the area was during the height of the real estate bubble in 2006, when the association recorded 7,657 sales. The Aiken Board of Realtors, which covers most of Aiken County and the city of Aiken, reported 2,149 sales in 2016, a 7.3 percent increase from the previous year and the best sales year since the recession. “We had a great 2016 and our numbers in 2017 are already looking good,” Association Executive Kristyne Shelton said. 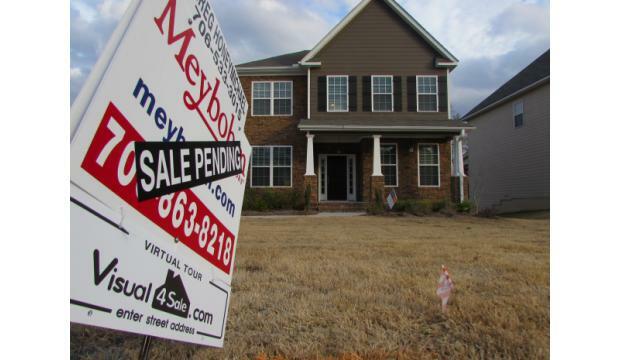 Home sales aren’t booming just in the Augusta area. Nationally, more than 5.45 million homes were sold last year, surpassing the previous year and showing the best numbers since 2006, when 6.48 million homes were sold. Sales nationwide plunged after the bubble burst in 2008, though not as precipitously in the Augusta-Aiken area compared to red-hot real estate markets such as Miami, Las Vegas and Atlanta, where loose lending standards caused greater distortions in the market. Many of those areas are now rebounding more robustly than slow-and-steady midsized markets such as Augusta. Still, several post-recession trends are keeping the real estate sales market in check. One is that homeowners aren’t selling as often as they used to; the average length of ownership is around 10 years, up from six years a decade ago. A contributing factor is that about one in every five people who bought during the peak of the housing boom are still underwater on their home, according to the National Association of Realtors. Another challenge is that rising home prices and interest rates make renting more attractive than buying, especially among millennials, a generation that is taking to home ownership later in life than their parents and grandparents. People who own homes as investment properties have little incentive to put them up for sale because the rental market is so strong. McDowell’s home-based business, Southern Homes and Rentals, manages about 150 rental homes in the Augusta area. The 34-year-old Columbia County native said many renters are newcomers taking jobs at Fort Gordon, Savannah River Site and Plant Vogtle. While some rent for a couple years while they get to know the community, others only plan to be in the area three or four years – not long enough to buy a home, but too long to stay in an apartment. Retirees from the Northeast and West Coast account for a large portion of Aiken’s housing market. That influx slowed for several years as retirees in those areas had difficulty selling their homes. After years of flatlining, home prices in the Augusta area are starting to creep up; the average sale price last year was $170,742, a 14 percent increase from 2009, when the market bottomed out and the average sales price fell to $149,691. Irvine, Calif.-based ATTOM Data Solutions notes in its 2017 Rental Affordability Report that Augusta-Aiken is among the 66 percent of U.S. markets where it’s cheaper to buy than rent. According to Seattle-based Zillow, interest rates would have to rise past 7 percent to make renting a better deal. Last year nearly one in every four homes sold in metro Augusta was new construction. But home building is starting to slow locally and nationally amid rising regulatory and labor costs. In the metro Augusta area, single-family building permits in 2016 were down 6.5 percent from the previous year and 33 percent from a decade ago. The local builders association attributes most of the slowdown to cost pressures, but McDowell, who is in the real estate business, also notes that local developers went overboard on speculative home construction after the announcement that Army Cyber Command would relocate to Fort Gordon. McDowell said his company has worked with builders to fill some of their new homes with renters while the market rebalances. Rising interest rates might also be keeping people put. Those with mortgages in the mid-3 percent rage might be hesitant to get back into the market now that rates have risen above 4 percent for a 30-year fixed. Though rates are on the rise, many consumers might not appreciate just how low they are from a historical context, said Tom Bird, the president of State Bank Mortgage, the Augusta-based home loan division of Atlanta-based State Bank & Trust. “I’ve been in this business for 38 years, so it’s still what I consider uber-low,” Bird said. His operation saw an 8 percent increase in mortgage origination systemwide in 2016. In metro Augusta, where Fort Gordon is increasing its cybersecurity operations, a large percentage of mortgages are VA loans, which offer 100 percent financing. Nationally, 18 percent of buyers are veterans and 2 percent are active-duty service members. The typical loan in the Augusta area falls in the $200,000-$300,000 range, but Bird said he has noticed activity picking up in the $500,000 and up category, which falls into the non-conforming “jumbo” mortgage, which is what the McDowells had to take out to buy their Halali Farm Road home. Bird acknowledged post-recession banking regulations have added extra layers to the loan-qualifying process, though consumers with good credit and proof of a steady income can still get easily approved. “It’s not harder to get qualified now – it’s just more complicated,” he said. Nationally, first-time buyers made up 35 percent of all buyers in 2016. The typical buyer was a 44-year-old whose median household income was $88,500. The typical home purchase was a 1,900-square-foot three-bedroom, two-bathroom built in 1991 with a median price of $227,700. That price is about 33 percent higher than the average metro Augusta home. “When people come from out of the area and interview for jobs, 99 percent of the time they’re pleasantly surprised for what they can get for their dollar,” Bowles said.